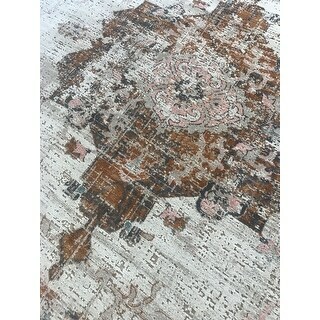 I am thrilled with my new rug! 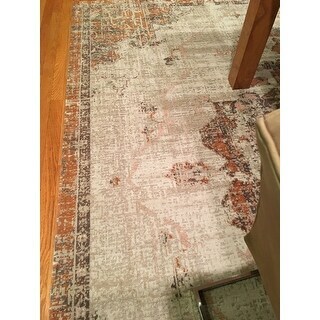 As many other reviews state, I spent hours upon hours searching for the right rug at the price I hoped for..... There is a slight odor that on day two was already diminishing. Colors are soft and very close to the sites photos! Hope this helps! 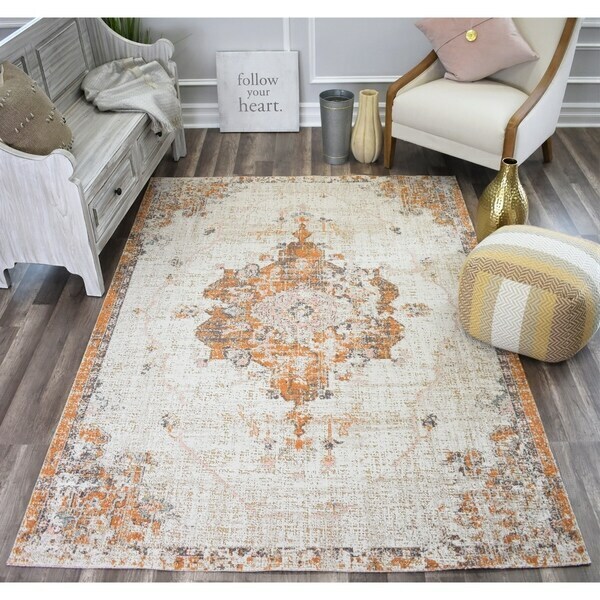 Galena Medallion Orange/ Brown Area Rug - 7'10"x9'10"
This multi-use rug can create a graceful mood in your backyard or bring a touch of formality to a living room or den. It features a traditional motif in modern, yet neutral tones like rust and champagne, giving this accessory classic cred with a fresh feel. Crafted from polypropylene and power-loomed, this indoor/outdoor piece has a flat pile for less-fuss cleaning. 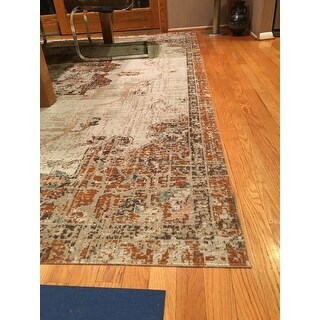 This rug was everything I expected it to be! 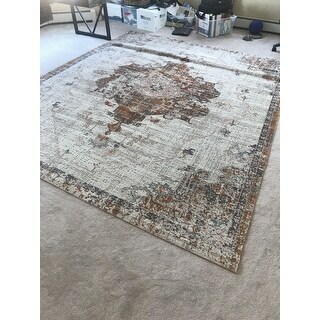 If your looking for a thicker pile, this isn’t the rug for you but it was just what I wanted to get that vintage feel I was going for. I would look at the pile height in the details when ordering if your needing a specific thickness. The colors were richer in person, it’s a beautiful rust color with beige and a touch of taupe with a tiny bit of blue gray but not enough to hardly be noticed. Love the price for this size! I would recommend this product if your looking for the worn vintage look. It is thin, but actually worked out quite well. Also, there is more pink in the center. But again, after my initial hesitation, it looks great. "Are the main colors grey & orange? Thanks!" 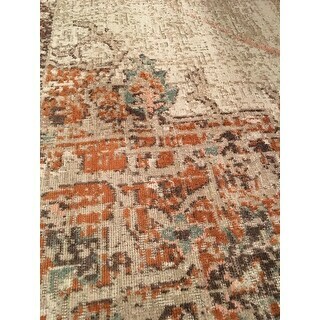 This rug features a rust color with beige and a touch of taupe.